Musical talent from the Nordic countries was hitting stages in Oslo again as the annual by:Larm music conference and festival got underway on Thursday. By:Larm is considered a premier arena especially for new Norwegian musicians. The major musical event of the year is also celebrating its 20th anniversary this year, after starting up in Trondheim in 1998 as a meeting place for the Norwegian music industry and budding Norwegian musicians. It mounted an early celebration last year, on the grounds 2017 marked its 20th event, but this year the anniversary is official. By:Larm has expanded greatly since its early days to a full festival program featuring artists from Finland, Sweden, Denmark and Iceland as well as Norway, along with a conference that attracts international participation. More than 2,500 delegates are registered this year, and 140 artists were set to perform at 15 different locations around Oslo. By:Larm has long aimed to lift Norwegian and now Nordic artists, and introduce them to the world. It’s been a launching pad for singers and bands from Bertine Zetlitz, Odd Nordstoga and Sondre Lerche in its early years to Donkeyboy, Susanne Sundfør and Kvelertak as it matured, to Aurora and Sigrid Raabe in more recent years. This year’s hottest artists include Halie (Hannah Emilie Grung) of Bergen and the bands Bokassa and EMIR, according to newspaper Aftenposten. By:Larm also aims to pair aspiring artists and songwriters with scouts from record companies and other professionals. 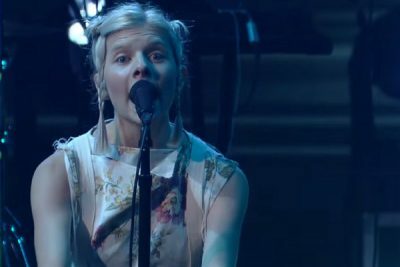 A so-called “songwriting camp” called Bysongs impressed Norway’s new government minister in charge of culture, Trine Skei Grande of the Liberal Party, when she visited it earlier this week. 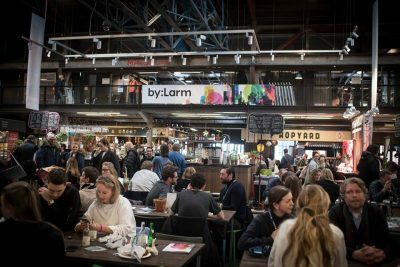 “By:Larm is an important event for an industry that’s seeing strong growth,” Grande told newspaper Dagsavisen on Thursday. She was also set to officially open By:Larm, which has financial support from Norway’s foreign ministry, the Norwegian cultural council, the City of Oslo and Nordisk kulturfond.